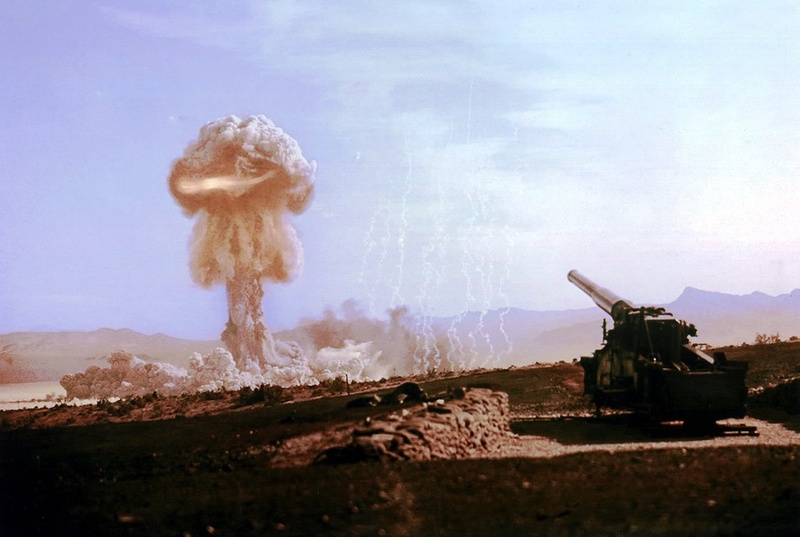 "On May 19, 1953 at 05:05 AM local time, at Yucca Flat, Nevada, around 175 miles north of Kingman, one of a series of nuclear tests under the umbrella code-named Upshot-Knothole was set off. Sunrise that day was around 6:21, so, at the time of the blast the whole of the night sky was dark except for a slight pre-dawn glow along the eastern horizon. Within seconds of the blast some sort of a dark airborne object moving at a ultra high rate of speed swept past to the east traveling in a southerly direction almost as though it came from the test site tracking on a slightly downward trajectory and headed toward the mountains to the south. "As the object lost altitude suddenly a huge flash of light lit up the sky in the nearby mountains forward of the southern horizon. All along the object appeared to be unsteady, fairly thin, and possibly flat-circular. Although the sun was below the horizon the object was still high enough that it was able to catch the direct rays of the sun, wobbling enough that it was able to throw off a brilliant glint of sunlight from some portion of its underside as it tipped upward only to disappear as it tipped back. The flash of light near the base of the mountains was soon followed by a sound like a single clap of thunder." "When I was in high school, except possibly for a little extra effort on my part in Miss Sinsabaugh's journalism class and maybe art, I probably wasn't the best student Redondo Union High School ever had. " Not counting the aforementioned phone call from my uncle when I was a kid asking me to meet him in Kingman, in which as I have said, my dad would not allow me to participate --- but my uncle went anyway --- the Kingman Incident came up very rarely between us. The first time he brought it up was many, many years after a discussion my uncle had about Kingman with a major UFO buff named Frank Edwards. My uncle and I were on a road trip that came about because my 65 year-old-plus father had been caught in a fire while on the job sometime around 1970 or so, ending up with a collapsed lung and a good portion of his skin burned and most of his hair gone. Because his outlook didn't look all that favorable, my uncle, who lived in Santa Fe, came to see him. After learning my father's health was OK at the time of his visit, considering his age and what had happened to him --- as well as the two of them spending several days together talking over old times, my uncle decided to head back home. As it was, my dad held on, albeit dying of complications from the fire two years later. While it is true my uncle and I had met in Kingman a couple of years prior to this trip, that meeting was not related in any way to the Kingman Incident. Nor did the Kingman Incident even come up during that get together. Matter of fact, during that 1968 meeting I didn't even recall he had phoned me in 1953 to meet him in Kingman. This time it was much different. Just before leaving Los Angeles my uncle arranged a meeting between he and his old friend cowboy western author Louis L'Amour taking me along, after which then, we headed north so he could visit another old friend, Franklin Merrell-Wolff, who lived along the eastern slopes of the High Sierras. After he visited Merrell-Wolff we headed east toward New Mexico with plans to cross the Colorado River over Hoover Dam. In conversation it came up that the construction of the dam had stopped torrential floods downstream that had transpired since time immemorial. As we traveled along, drawing from my heavily injected academic background brimming with in-depth encyclopedic and intellectual knowledge, information and data --- all garnered from comic books of course --- I told him about a great story I read in a Gene Autry comic called "The Ship in the Desert" (issue #52, June 1951) and an even better one in an Uncle Scrooge comic called The Seven Cities of Cibola (issue #7, September 1954) wherein wrecked Spanish galleons had been found in the desert in both stories. As near as I could remember, as far as the ships were concerned, the punchline for both stories were associated with an old Colorado River channel covered and uncovered over the centuries by flash floods or some such thing leading to the Salton Sea. Then, out of the blue suddenly things changed. Only a short distance south of the little speedtrap town of Searchlight, Nevada he began slowing down looking off to the east. His eyes glazed over and out of nowhere he no longer wanted to chase down ancient river channels and desert marooned Spanish galleons, but instead, he wanted to go to the east side of the river. Rather than doubling back to Hoover Dam we continued south to Davis Dam, my uncle figuring we would head toward Santa Fe by going through Kingman. After crossing the Colorado over Davis Dam and reaching Highway 93 --- located some distance east of the river --- instead of turning south to Kingman like I thought we would, he turned north, all the while my uncle glancing off to the left as though he was looking for something. After a few false starts on a couple of dirt roads he finally turned left on what appeared to be at onetime a fairly wide graded road that he continued to stay on that led us to a rather flat spot that edged up close to river level. He got out and walked up and down along the river acting as though he was still looking for something. Eventually, in the bushes some distance from the river's edge he found the only thing that seemed to capture his interest --- a rusted two or three foot high heavy steel rod pounded into the ground so far the two of us could not pull it out, but that was about it. After that we got in the car, he turned it around and we headed back to the main road. When I asked him what all that was about he remained silent. Leaving the river we headed southeast and never did make it to ancient river channels, wrecked galleons, or Viking ships in the desert. Instead we found our way a short distance across the desert to Kingman, Arizona and holed up for the night in a motel. At two in the morning I barely awoke to the sound of the phone ringing only to see my uncle going out the door a few minutes later and turning the lock behind him. After rolling over and over the rest of the night I finally I got up around 6:00 AM and he had yet to return. About 7:30 that morning after completing the Three S's and stalling in the room as long as I could I was walking back from a local cafe with a coffee to-go when I saw my uncle drive up in front of the motel. When he got out of the car I saw he was traveling with two Native American men. They chatted for a few minutes then the men crossed the parking lot, got into a pick-up truck and drove away. When I came into the room he told me the reason he was gone. Seems there was something he wanted to look at out in the desert and just didn't want to disturb me while I slept. With that, although he was usually more open and talkative on almost all subjects, especially with me, and with no mention of the two Native American men, he ended it. We packed what stuff we had and walked to the car. In the few minutes that elapsed between the time the two of us came into the room and we headed toward the car someone had put a note on the windshield. My uncle read it, folded it and stuffed it in his pocket, then we left. No breakfast or anything. Instead of heading out of town toward Santa Fe as I expected we would, we turned south on 93. When we got into the little town of Wikieup he turned right on a bummed-out road that quickly turned to all dirt called Chicken Springs. We continued west some distance into the desert when I saw coming toward us what turned out to be a pick-up truck traveling at a fairly high rate of speed raising a huge amount of dust behind it. Almost as soon as the pick-up came into view my uncle began driving at a high rate of speed too, also raising a huge cloud of dust. When the two vehicles got close my uncle slammed on the brakes as did the driver of the pick-up, the two of us sliding to a stop almost side by side. Before the intermixed dust cloud had a chance to remotely dissipate my uncle put down the electric window in the tailgate and almost just as quick the men in the other truck, both easily identifiable as Native Americans, but neither being either of the two men at the motel, transfered a rather large wooden crate about 4 feet long and a foot and a half high from the bed of their truck onto the flat floor of our station wagon. Then they took off instantly with us doing the same. Within seconds we were obscured by another huge cloud of dust caused by two military vehicles, a jeep and a 3/4 ton truck, both of which in tandum seemed to be in pursuit of the pick-up. We continued west on Chicken Springs Road until we came to another dirt road that sort of angled off toward the right, which we took. Some distance up the road my uncle pulled off, making our own road to an outcropping of rocks and small boulders. We got out, dug a hole and buried the crate. Then he pulled onto the road facing the car toward the direction we came, stopped, got out, and with me following his lead, the two of us covered all of our tire tracks and foot tracks clear up to the outcropping so no one could tell we were there. Just before he got in the car he burnt the note he had stuffed into his pocket stamping all of the ashes into the dirt. We then headed toward Chicken Springs Road continuing to Wikieup, but at a much more leisurely pace than we did when we going into the desert. Part way back we noticed what appeared to be a military vehicle parked high up on a hill some distance off that started heading our way. My uncle asked if I remembered Tommy Tyree. When I told him yes he said take the canteen and make yourself scarce. Which I did. No sooner had the truck passed my uncle, who was now in the car alone, than it made a U-turn and came up right behind him hanging on the bumper, and as I found out later, stayed that way clear to the highway. I also found out later from my uncle, in that I was busy making myself scarce in the desert instead of being with him, that just past a school on Chicken Springs Road and before he was able to turn onto 93 he was stopped by several men wearing new unmarked olive drab GI fatigues, all appearing to be armed in some fashion-or-the-other and accompanied by what appeared to be a county sheriff who just sat in his cruiser basically blocking most of the access to 93. At the same time the truck that had been following stopped right behind the car. My uncle told me one of the uniformed men in a helmet with white captain bars stenciled on it had him get out of the car and questioned him at length while looking at his identification. As all of that was going on several other men went totally over the whole vehicle, opening doors and looking in the back and underneath, even taking out the spare tire. Meanwhile my uncle moved to the shade of a tree and stood on a small dirt berm on the side of the road apparently made by a road grader. It was then he noticed all of the unit designation numbers of the military vehicles usually prominently displayed on the bumpers were either removed, painted over, or never there. He tried to reposition himself as discretely as possible inorder to get the license number from the rear plate of the cruiser, but there was no plate where the plate should have been. The man questioning my uncle wanted to know the nature of his business in such a remote area. He told the man that he was a bio-searcher and heard there was a rare species of plant in one of the canyons, but had been unable to locate any samples, so he was headed back to Santa Fe. The man went over to the deputy and talked for several minutes while the deputy talked back and forth on the radio. Pretty soon the man retuned a told my uncle he could go. My uncle turned right on 93 and went into Wikieup looking for something to eat while hoping for me to show up. In the meantime I had been picked up by two Native Americans who apparently had been watching us a good portion of the time. They bypassed the town coming in from the south and upon seeing my uncle's station wagon parked in front of an eatery pulled up and we went in. That's when I heard what happened as outlined above. Several years later while visiting my uncle in Santa Fe he asked me if I remembered that little jog we took along the Colorado River in 1970. When I nodded yes he asked if I remembered the 1953 phone call seventeen years before asking me to meet him in Kingman, but instead my dad sent me to spend the summer with my stepmother. Again I nodded yes. Then he went off on a tangent. He told me after all the years he still could not believe that my dad would not let me meet him in Kingman, but was willing to send me to spend that same summer with my stepmother who took me to meet one of the most infamous prostitutes Los Angeles had ever seen, Brenda Allen. After making himself clear about Brenda Allen, which even after all the years that had elapsed, I could tell he still took personally, he cooled down and told me the 1953 phone call was related to the Kingman Incident. According to my uncle, he and a couple of Native American trackers along with a young between jobs 20 year-old and soon-to-be New Mexico A&M college student he referred to as Chukka Bob, who they didn't know but just joined them along the way, had been observing over a period of several days from a distance what he called "a military recovery operation of some kind" in or around the canyons of Kingman in May of 1953. When the military moved the tarp-covered fairly large crescent shaped or circular disc-like whatever it was in the middle of the night my uncle and the trackers followed. They couldn't get close and had to drive without headlights most of the way. Eventually the trucks came to the Colorado River, and apparently not wanting to cross any of the dams or bridges, off-loaded whatever it was they were transporting, or at least the trailer and the cargo, onto a barge and floated it across the river only to be met, it is assumed, by a similar contingent on the far side. 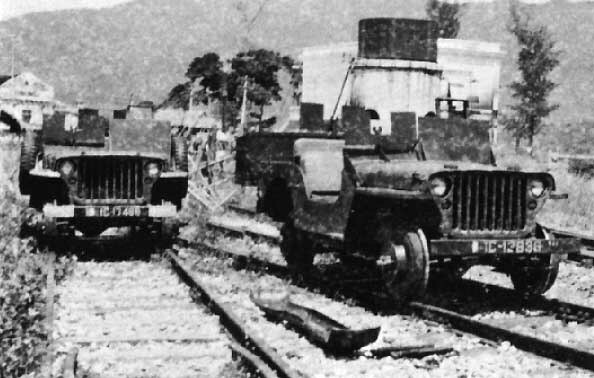 My uncle and the trackers were never able to get close enough to the operatation nor see clearly what was being moved when it was actually being done, nor were they able to cross the river, but the next morning after everybody left they did go down to the river's edge and look around. When he went back that day with me with him it was just to see the location again. As for the wooden crate he said it was related to the same incident and as far as he knew it was still buried in the desert. Other than that he was unwilling to discuss it and told me it was best to just forget it. Spent most of the day on Frenchman's Flat surveying cubicles and supervising welding of plate girder bridge sensor which cracked after last shot. Drank brew in eve. Read. Got funny call from Dr. Doll about 10:00. I'm to go on a special job tomorrow. Up at 7:00. Worked most of day on Frenchman with cubicles. Letter from Bet. She's feeling better now--thank goodness. Got picked up at Indian Springs AFB for a job I can't write or talk about. "To prove my point, that those who offer solutions to some of the UFO cases are not invited to many conferences, I have just learned of an event in Kingman, Arizona in celebration of the UFO crash there. It seems to make no difference that the sources for this information about the crash is shaky at best." "I will note that searches of the local newspapers, meaning those within 100 miles including Las Vegas, have turned up nothing. No UFO sightings at the right time and nothing to suggest that something crashed." "So, there really was no evidence for a Kingman crash. We can find no trace of it in any of the documentation and this includes the newspapers of the time. Remember, all the crashes that have some solid supporting information also have newspaper articles about them. Roswell, Las Vegas, Shag Harbour, Kecksburg and so on. Many of the alleged crashes listed on so many web sites have newspaper articles about them, even when we are able to put a mundane answer on them... but not so Kingman." On Friday, May 22, 1953, two days after the suspected Kingman crash, the Prescott Evening Courier printed the following headline across the top of the front page: Flying Saucers Return to Prescott. The article to which the banner headline refers covers the sighting of eight disc-like objects seen by three witnesses twenty miles north of Prescott, Arizona on the morning of May 21st, the day after the crash. It is doubtful if Prescott is much more than a few miles over a 100 air miles from Kingman. At the 1000 miles per hour plus UFOs are reported to move that would put Kingman only a matter of seconds roundtrip from Prescott, while both locations could easily be seen at the sametime from altitude. Now true, the sighting of the eight "saucers" was the day after the reported crash at Kingman, but the sightings does put an awful lot of flying saucers within seconds of the crash site just hours of the alleged crash. Sounds almost like one of those World War II stories of a concerned squadron searching for a lost or downed comrade than anything else. The phone call from my uncle to meet him in Kingman was in March of 1953. The burying of the box in the desert, which my uncle said was related to the 1953 Kingman Incident, was in 1970. It is reported that the Kingman crash was known to UFO investigator Richard Hall (1930-2009) as early as 1964, although except for a continuing series of vague references, I have not been able to locate hard substantiating evidence that such is the case. Nor can I direct or link you to other than those vague references. In the official history, that is, the typically recognized chronological lineage regarding the knowledge of the Kingman UFO crash, most people cite the originating source as emanating from an article published in the Framingham, Massachusetts edition of the Middlesex News on April 23, 1973. In the alleged article two UFO researchers Jeff Young and Paul Chetham interviewed a man they called Fritz Werner --- who we know now was actually one Arthur Stansel --- and from that interview gave the first, albeit very brief, aspects of the story. Inturn, Raymond Fowler used those very brief aspects as a starting point to search down and get a much fuller account of the incident which inturn he then used in his 1981 book Casebook of a UFO Investigator. 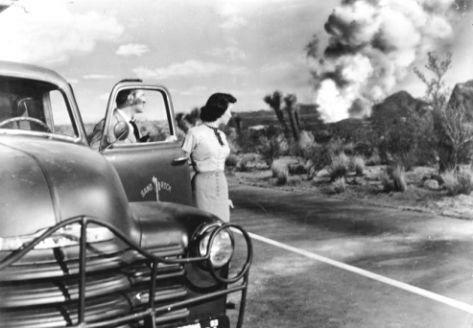 All kinds of people besides Stansel knew of the Kingman crash as early as 1953, to wit for example, my uncle, who learned of the incident through Native American trackers, and his attempt to discuss the incident with Frank Edwards in 1955. The question is then, if people were aware of the crash since 1953, why did it take until the Young-Chetham interview, done February 3, 1971, and published in 1973, for it to come to light? Take a look at the facts. The Roswell incident, even though it occurred in some rather isolated countryside out in the middle of the New Mexico desert, it still occurred on a working ranch --- with animals that needed to be watered and tended to on nearly a daily basis. W.W. Mac Mack Brazel, the ranch leaseholder come foreman, went through a serious, almost daily regimen ensuring the proper feeding, watering and caring for his animals, his only source of livelihood for himself and his family. Thus Brazel, in his daily routine came across the debris field within hours of it happening. Brazel was civilian and took his findings to the local sheriff in Roswell. The Kingman crash occurred in the basically uninhabited rugged mountinous terrain somewhere outside Kingman. To my knowledge no credible individual or witness came forward, a la Brazel, publicly revealing they actually saw or observed an aerial object of some type crash either close up or from a distance --- and/or stumbled across one immediately following a crash --- relative to the 1953 Kingman incident. A number of theories have surfaced as to why it was suspected that an airborne craft of some type came down in the first place, and that it was necessary for government authorities to retrieve it. Of those numbers, the theory that carries the most weight, and could have set into motion a military retrieval team, circulates around the 1953 atomic test program in Nevada given the name Upshot-Knothole. There have been musings in some quarters surrounding the test that a "saucer-like" object was caught up in the shockwave from the blast of a nuclear device called Harry that was detonated on March 19, 1953 --- and that the object, on a downward trajectory that would taken it toward Kingman in the aftermath of Harry, appeared to be exhibiting extremly unstable flight characteristics. Unlike at the Roswell debris field, the follow through on the Kingman event more closely parallels the August 1945 San Antonio, New Mexico incident. The retrieval team got there first. "Usually given credit for escalating the Roswell incident prominently back into the public eye is a nuclear physicist and UFO lecturer named Stanton Friedman who just happened to be lecturing on UFOs in Baton Rouge, Louisiana in February 1978. Before the lecture a television station manager told him about a man he knew through ham radio contact named Jesse A. Marcel who, according to the station manager, had actually handled wreckage from the crashed object. Intrigued, the very next day Friedman called Marcel, who lived not far away in Houma, Louisiana. Marcel was unable to recall the specific dates and times accurately so Friedman let it go at at that. A year later a man by the name of William L. Moore found clippings of the incident and, somehow comparing notes with Friedman, discovered that the story Marcel told actually paralleled the events. After intensive research and interviews Moore and a man named Charles Berlitz along with Friedman, albeit uncredited, teamed up to write the first book specifically on the subject, titled The Roswell Incident (1980), followed then by an opened floodgate of similar Roswell related tomes." Except for Judith Anne Woolcott, cited in the opening quote at the top of the page and discussed briefly in Footnote , who intimated she had received a letter written in 1965 from her husband that substantiated the Kingman crash and was killed that same year in Vietnam, and a little known but well researched piece of reality base fiction by a Kingman native found in Footnote , so it was and how it still largely remains with the Kingman Crash right up to this day. However, it should be noted that the person referred to by my uncle in Footnote  as Chukka Bob, a civilian in 1953 and tied into Woolcott via a letter, but not so in relation to her husband, ended up being a Ranger trained Tactical Intel Staff Officer with the rank of Captain in 1965, having arrived in Vietnam in February of that year and killed in December, 1965 --- and it was HIS letter to Woolcott, that is, a letter written by the Tactical Intel Staff Officer and not one alluded to be from Woolcott's husband, that has so stirred up the Kingman UFO plot. KINGMAN CRASH: FACT OR FICTION? THE COLORADO RIVER: WAS IT NAVIGABLE? As presented in the opening paragraph in the above main text, the phone call by my uncle regarding the Kingman UFO occurred at the end of May 1953, just a week or so before my first year in high school was about to finish. On this particular trip though, wherein my uncle changed his mind from seeking out lost ships, for some reason a few miles south of Searchlight and still well above and west of the Colorado River he turned left off the paved highway onto a dirt road called Christmas Tree Pass. After driving about ten rather bumpy and rock strewn miles generally curved toward the southeast he turned right on an even lesser dirt road. A short distance later we stopped, then hiked a mile or so to a place located about six miles west in the mountains above the Colorado River basin. There we came upon an ancient watering hole in a location he called Grapevine Canyon. Most of the boulders and huge rocks surrounding and those nearby the watering hole were covered with petroglyphs. My uncle, because of his rather extensive travels in the desert southwest had, over time, developed a strong working knowledge and familiarity with most aspects of Native American rock art. Amongst the petroglyphs were many he pointed out as being decidedly different, and of which he said were not of Native American origin, but were instead ancient Chinese ideographs. The wooden crate always entertained a deep mystery for me. For one thing, even without considering what was in it, the crate was very well made and had a new or unworn look about it, which seems odd if it had been sitting around on or under the desert floor for years or hastily built or put together somehow out in the desert within a short time of falling into our hands. Secondly, when it was placed into the back of the station wagon a whole bunch of material similar to what a Samsonite hardside briefcase is made of was tossed into the wagon as well. Judging from the size and shape of the pieces it looked as though, if reassembled, they may have been at onetime a sealed protective case of some kind, say like for an over the shoulder rocket launcher or something --- but still a case that would have been large enough to have held whatever was in the box --- or possibly the box itself. The parts looked like they may have been hacksawed or chainsawed to pieces in some fashion. When we dug the hole to bury the box my uncle threw all of the hard Sampsonite-like pieces into it along with a bunch of rubber foam-like material that up close gave off a strong nose wrenching smell of burnt almonds. Continuing on, the day the Native American men brought me in from the desert to rejoin my uncle in the little town of Wikieup and he told the story of the uniformed men stopping and questioning him, he left out a very important part of the story. When he was standing in the shade on the road-grader berm, and just before they let him go, he observed the deputy talking on his radio. Within a few minutes of that call a vehicle that my uncle described as, although it really wasn't, but looked like one, a "Triple A mapping unit," came along Highway 93 from the north and stopped at the intersection without actually turning onto Chicken Springs Road. The questioner had him walk up to the truck and before he could get close a man in civilian clothes sitting on the shotgun side with the window down took one look at my uncle, waved his hand at the questioner and told him to let him go. The so-called by my uncle mapping unit --- actually a totally unmarked flat navy-gray four wheel drive late model 1960s GMC or Chevy Suburban, also without plates --- turned a U in the middle of the street and headed back north on 93. My uncle got close enough to the vehicle before it left to see that there were at least two people sitting in the back and through the rolled down window on the front passenger side he was able to see the man sitting directly behind the driver fairly readily even though my uncle was still some distance back. Although it had been over 20 years my uncle was sure he recognized the man as Lewis "Bill" Rickett, onetime of the U.S. Army Counter-Intelligence Corps. Rickett was the non-commissioned officer in charge of the CIC office in Roswell in 1947 --- a man my uncle thought retired to Florida and long since become a civilian with no formal affliation with the military or government. What Rickett was doing in Arizona on that particular day under such peculiar circumstances and why, my uncle never did find out --- and to my knowledge no explanation has ever surfaced about it one way or the other. The two had met previously, the last of which ended in not the best of accords. Because of my uncle's intimate knowledge of indigenious plants of the desert southwest he was called in to assist the noted scientist and meteorite hunter Dr. Lincoln La Paz in the investigation of the downed object of unknown origin that allegedly crashed in Roswell in July of 1947. Rickett, the military person in charge, apparently didn't like my uncle's rather unorthodox methods (read: un-military-like) and because of a disagreement that erupted over some debris found at the site, had him taken under guard in a rather harsh and abrupt fashion to the vehicle he arrived in and told to stay there. When Rickett returned to the truck he found the bio-searcher gone, and the guard assigned to watch him having no clue where he went or what happened to him. A search of the area showed no sign of him in the vicinity, as though he simply disappeared or vanished, the desert and the surrounding environment somehow swallowing him up without a trace. La Paz and others operating out of Los Alamos fell under the purview of General Leslie Groves who ran the Manhattan Project. Groves had a much different approach to security clearances than typically found across top secret military projects. It has been reported that Groves "would have brought in Attila the Hun if had known about quantum mechanics." Where a person might not have obtained the necessary security clearance to work on radar at the MIT lab where radar work was being done it was a much different attitude at Los Alamos under Groves. For example, Groves appointment of Robert Oppenheimer to head up the Manhattan Project secret weapons laboratory. A huge outcry was expressed about Oppenheimer, circulating mostly around him being a security risk because many of his associates were communists, including his brother Frank, Frank's wife Jackie, Oppenheimer's former girlfriend Jean Tatlock and his wife Kitty. Even so Groves personally waived the security requirements and issued Oppenheimer a clearance on 20 July 1943. Although General Grove was no longer at the Los Alamos facility at the time of the Roswell incident, it was his philosophy that continued to permeate the atmosphere surrounding La Paz's approach regarding the biosearcher, much to the dismay of Rickett and his most likely more traditional or stricter adherance to security clearance guidelines. As for Groves waiving of the requirements for Oppenheimer's top secret security clearance, it should be noted that a formal hearing in 1954 resulted in Oppenheimer's top secret security clearance being revoked. If the biosearcher ever had an "official" security clearance issued for anything beyond his assistance as required by La Paz in his investigations is not known. Fowler's source, Arthur Stansel, a World War II veteran and three time Purple Heart recipient, passed away Sunday Dec 3, 2006, at age 82. His obituary, outlining his background and written unrelated to any of the events at Kingman, lends a great deal of credibility to his alleged involvement. Click here for Stansel's OBITUARY. According to Jenny Randles in her book UFO RETRIEVALS: The Recovery of Alien Spacecraft (1995), in addition to Richard Hall, two other UFO researchers, Len Stringfield and Charles Wilhelm, are also said to have obtained first and second hand testimony from witnesses regarding the crash of a UFO in the Arizona desert in 1953, suspected by inference in each case as being the Kingman crash. An example of how almost all of the testimony and leads pertaining to the Kingman UFO event simply seem to dry up, it has long been reported that Richard Hall knew about the crash-down and retrieval since April, 1964. In some unreported fashion it has been said Hall received information regarding the Kingman crash from a professional military officer that was sent to Vietnam and while in Vietnam, killed. Eleven years before being sent to Vietnam he came across the recovery operation of the Kingman object in some fashion and in doing so became a firsthand witness to the event --- which inturn he apparently disclosed to Hall. UFO investigator Don Schmitt, while doing a series of interviews researching background material on abductees, came across a woman named Judith Anne Woolcott who intimated she had received a letter written in 1965 from her husband, killed that same year in Vietnam, that substantiated the Kingman crash. UFO researcher Kevin Randle, hearing of Schmitt's account, scoured military records to see if a person with the last name Woolcott and of the right age was killed in Vietnam during the appropriate time period without results. Come to find out Woolcott was married more than once. Investigating the records for the new last name showed no positive results either --- all of which would cast a huge doubt on Hall's and Schmitt's source. Len Stringfield, in Retrievals of the Third Kind (Parts 1, 2, 3, 1978 and linked below) wrote that Charles Wilhelm told Stringfield that his father had interviewed a "Major Daly" that had gone to an unknown location, presumed to be outside Kingman, to look at a downed flying saucer. Stingfield followed up with UFO Crash Retrievals: A Search for Proof in a Hall of Mirrors (1994) writing about a witness he called JLD who basically reported the same information. Taken together, all of it is pretty iffy. However, it is interesting that each of the sources, unrelated to each other as they are, have for whatever reason selected Kingman as the area for the crash and May of 1953 as the month and year. It just seems odd that three far flung "witnesses," if they were making up a saucer crash out of whole cloth, discounting all the iffy stuff surrounding the rest of their testimony, would all somehow decide Kingman, Arizona in May of 1953 would be a great choice for where and when the incident should happen. Quite the coincidence. "According to my uncle, he and a couple of Native American trackers along with a young between jobs 20 year-old and soon-to-be New Mexico A&M college student he referred to as Chukka Bob, who they didn't know but just joined them along the way, had been observing over a period of several days from a distance what he called 'a military recovery operation of some kind' in or around the canyons of Kingman in May of 1953." The debris field was discovered by a civilian and reported to civilian authorities. The object that came down at the archeological site had been tracked by military authorities from White Sands. They were on the scene quickly controlling both access to the area and any outflow of information. As for the San Antonio crash, it was the same as what happened at the Roswell debris field, civilians came across the crash scene well before authorities. However, for whatever reason, unlike rancher Mac Brazel and the Roswell situation who reported what he saw to the local sheriff almost immediately, it was NOT reported. However, by the time a person who had seen the object on the ground shortly after having apparently crashed, and returned to the site one week later for a second look, the object was gone. Although a road had been graded down the side of the arroyo to where the object had been --- it still had not been reported. It was years before even one witnesses to the event came forward revealing the crash publicly. Dr. Edward B. Doll, a PhD in electrical engineering from Cal Tech, long time associated with a variety of atomic and nuclear related projects for the U.S. government during and after World War II, primarily under the umbrella of the Atomic Energy Commission. 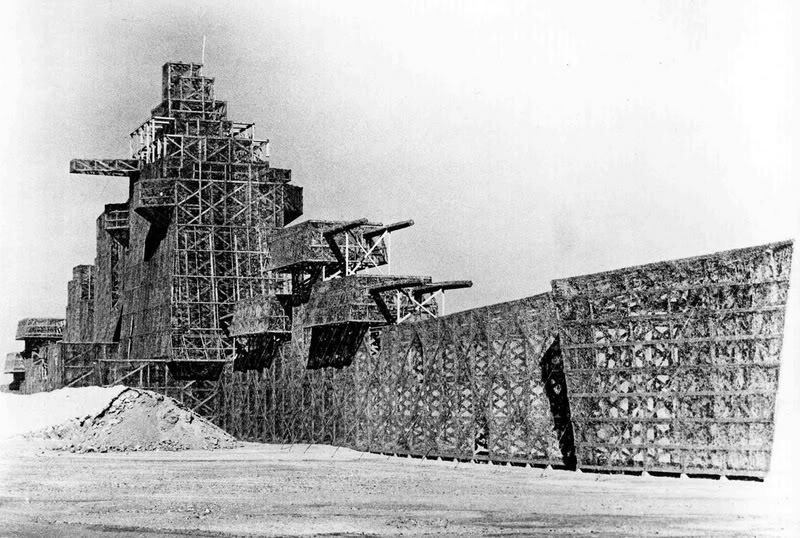 Said to have been attached in an official capacity to Operation Upshot-Knothole in Nevada during the time of the incident and somehow in the chain of command, though not confirmed because of a number of secrecy constraints, a defacto boss of Fowler's source. A man by the name of John Conneally, most recently of Phoenix, Arizona, but who was born and raised in Kingman, even graduating from high school there, in the process of doing research for a book he wrote on the 1953 UFO incident that he says falls into the category of reality based fiction, interviewed a number of 'old timers' who were living in the Kingman area at the time of the alleged crash. Using his 'born here native son' persona, rather than being a slick out of town hard-cover-book type guy, he was seemingly able to casually gain a lot more poignant insights into the incident than an outsider might have been able to do. Most of the military personnel that showed up at my ex-stepmother's ranch were fly boys from nearby Edwards Air Force Base. However, a number of Navy personnel showed up from China Lake on a regular basis, and a number of those were old navy buddies of the ranch foreman. There were always wide open goings-on in the bar and dance hall on Saturday nights, especially during the summer, and Sunday morning would almost always find a bunch of GIs laying around nurturing hangovers. Although I was there during the summer as the son of the owner it was not like I was a prince. My ex-stepmother had a whole series of jobs for me to do around the place to "earn my keep" as she would often tell me. One of those jobs, besides shoveling horse manure and cow dung after the once-a-month or more weekend rodeos, was to help the swamper that cleaned up the place following the Saturday night bashes by gathering up and rinsing tons of old beer bottles (usually stuffed with cigarette butts put out in stale beer), emptying and washing ashtrays, wiping down tables and chairs, hoeing out the restrooms and barf and sweeping the dance hall floor and stage with oiled sawdust. Invariably on those Sunday mornings the ranch foreman Leo, the ex-sailor that he was, besides being a Pacific Fleet boxing champion, would hold court with a number of Navy guys sobering up over coffee and having a little breakfast.